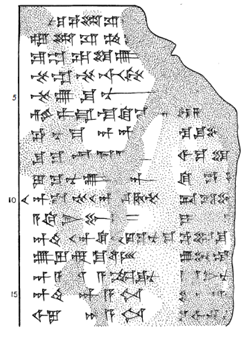 The civilizations of the ancient Near East produced the world's earliest written texts — in hieroglyphs, cuneiform, and alphabets — with which they described the first empires, recorded the first legal codifications, preserved the first love songs, and registered the first contracts, among states or individuals. Not surprisingly, these cultures elicited broad curiosity among later civilizations, our own not excepted, resulting in a flood of evaluation, scholarly or otherwise. While the discovery of new texts always leads to new evaluation, it is remarkable how assessments arrived at decades ago continue to be of much value, not only because they often carry editions of original documents, but because they contain insights minted freshly after first exposure to major documents. ETANA (Electronic Texts and Ancient Near Eastern Archives) has digitized, and continues to digitize, texts selected as valuable for teaching and research relating to ancient Near Eastern studies. We have selected primarily editions that are outside of copyright, or with the permission of copyright holders. While the new electronic editions we have produced are under copyright, the ETANA project chooses to make these freely available for noncommercial teaching and research purposes.